On my usual trip to England last November, I made a weeklong side trip to Stockholm, Sweden. When people ask me, “Why Sweden?” I (half) jokingly tell them that I wanted to see if the whole country was run as well as that large Swedish home furnishings store we know so well. But my curiosity regarding Swedish efficiency was only part of my motive. 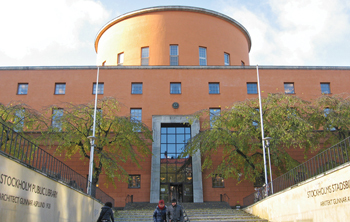 Sweden in general, and Stockholm in particular, has a reputation for appreciating and caring for their historic buildings. 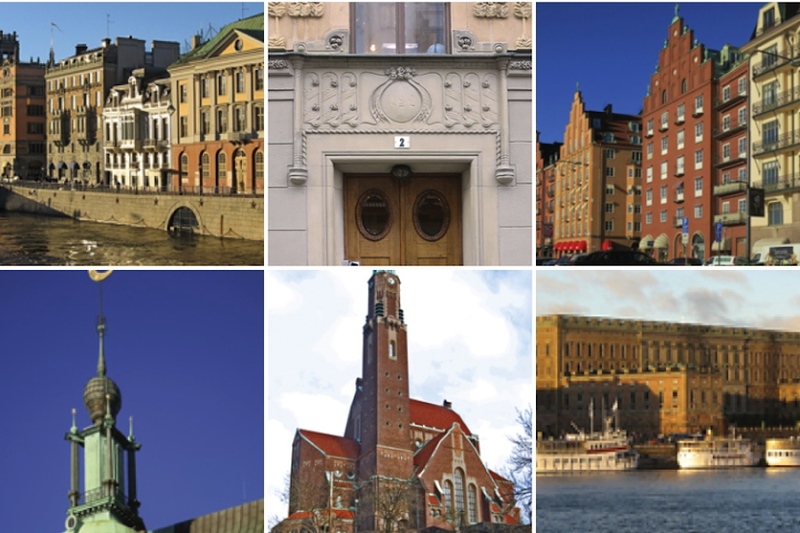 Every city in Europe, of course, has a wealth of historic structures compared with North America. But not every European city has placed the same value on preservation — nor has made the tough choices — to insure that their historic districts remain intact and vital in the modern age. Stockholm is certainly one of the leaders in this regard. Skansen Open-air MuseumOne of the more unusual architectural attractions in Stockholm is the open-air museum of Skansen on Djurgarden Island. One hundred and fifty historic buildings from throughout Sweden have been moved and re-assembled on the 200 acre site to illustrate what life was like in Sweden before the country became industrialized. All of these buildings were threatened with demolition in their original settings. 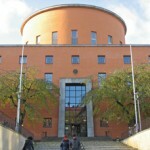 As was mentioned above, Sweden does have a preservation ethic and buildings are preserved in-place where possible. But there are occasions when buildings cannot help but be demolished or relocated. Open-air museums such as Skansen help preserve history for future generations. Skansen was founded in 1891 and includes buildings from the past 450 years of Swedish history. The reader will note that most of the photos of Skansen show wooden buildings. Sweden was originally heavily forested and wood became the logical building material of choice. As towns and cities became bigger, and forestlands decreased, building materials switched more to stone, brick, or plaster. Some of Skansen’s buildings have intact and appropriately furnished interiors, staffed by knowledgeable guides in period costume. Other historic craft buildings house working artisans demonstrating glass blowing, pottery making, tinsmithing, and bread making. Because I found Stockholm so captivating on its own, I did not have time to travel to other parts of the country. But I would like to return some day and visit the city of Gothenburg, the university city of Uppsala, and the medieval town of Visby on the island of Gottland. Visby has been designated as a UNESCO World Heritage Site. 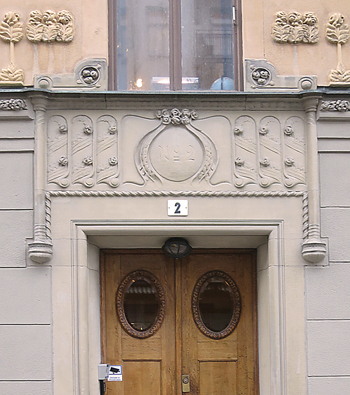 One of the reasons there are so many old buildings in Stockholm is that it is, well, so old. 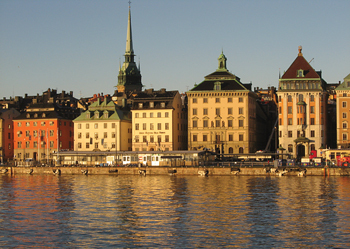 All European cities are of course “old,” but Stockholm is really old. There is evidence that it was a thriving settlement in the Viking world of around 1000 AD. 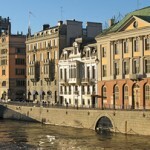 Present day Stockholm’s “Old Town,” known as “Gamla Stan,” contains buildings as old as the 14th Century. One afternoon, when exploring the district on foot, I stopped in an intriguing restaurant that appeared to serve traditional “old-style” Swedish food. I was stunned when the menu arrived and I saw printed on the front cover, “Since 1452.” I had to ask the waitress if that meant what I thought it did. She informed me that, indeed, the restaurant had been started in that year, by Franciscan monks from Munich who had ventured forth to the northland. Extraordinary, even by European standards (and the Swedish meatballs with lingonberries were delicious). 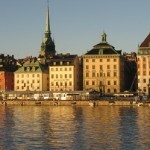 Gamla Stan is arguably the best-preserved and most intact medieval district in Europe. Part of its success as a distinct historic district is that it is an island, surrounded by water on all sides. Its narrow lanes and winding alleys present a definite alternate reality to the hustle and bustle of the modern-day central city just across the bridge to the north. Motor vehicles are permitted around the edge of one side of the island, but they are not permitted inside the residential or commercial heart of the district. 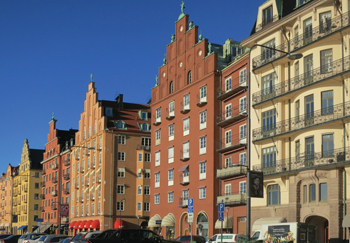 Property values in Gamla Stan remain among the highest in the city, despite residents’ inability to utilize cars. 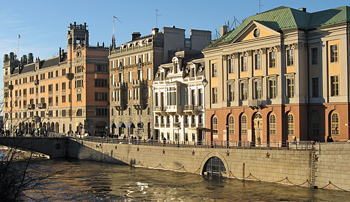 When industrialization brought growth and prosperity to Stockholm in the last half of the 19th Century, the city expanded far beyond the limits of Gamla Stan Island. Today the city is built on 14 islands, part of a much larger archipelago of 14,000 islands. Many parts of the post-1890 central city are developed with Parisian style tree-lined grand boulevards. And as in Paris, most of the buildings lining the streets are large apartment blocks, all of uniform height. This unity of streetscape is modified somewhat by the strongly individualistic designs of each of the buildings. 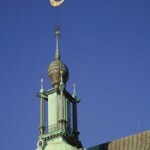 This was a period of prosperity for many in Stockholm, and the middle classes wanted to show it off – though all in a very respectful Swedish sort of way, of course. Even the most ornate or avant-garde architectural features of a building seem to have been designed to relate well to their neighbors. Of particular interest to the architectural historian are the many “Jugendstil” buildings found in neighborhoods built just after 1900. Jugendstil means “youth style” in German and is sometimes thought of as “German Art Nouveau.” Do not look for the swirling curves and flowing tendrils of French Art Nouveau, though. Jugendstil is more about hard edges and precise lines. It sometimes resembles the much later Art Deco style. 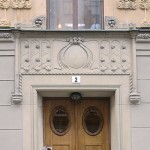 To add to terminology confusion, there are French Art Nouveau style buildings in Stockholm that are properly referred to as Art Nouveau. 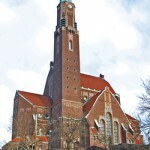 There are also buildings that blend both Art Nouveau and Jugendstil together. Hopefully, the photographs with this article will help illustrate the styles’ characteristics and differences. 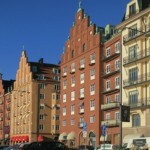 Another interesting building style in Stockholm is referred to as the “National Romantic” style. It was popular roughly through the same time period as Jugenstil (very late 19th Century to early 20th Century). 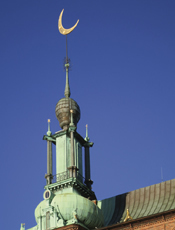 Architects of this style sought out design elements from Sweden’s medieval pre-industrial past. 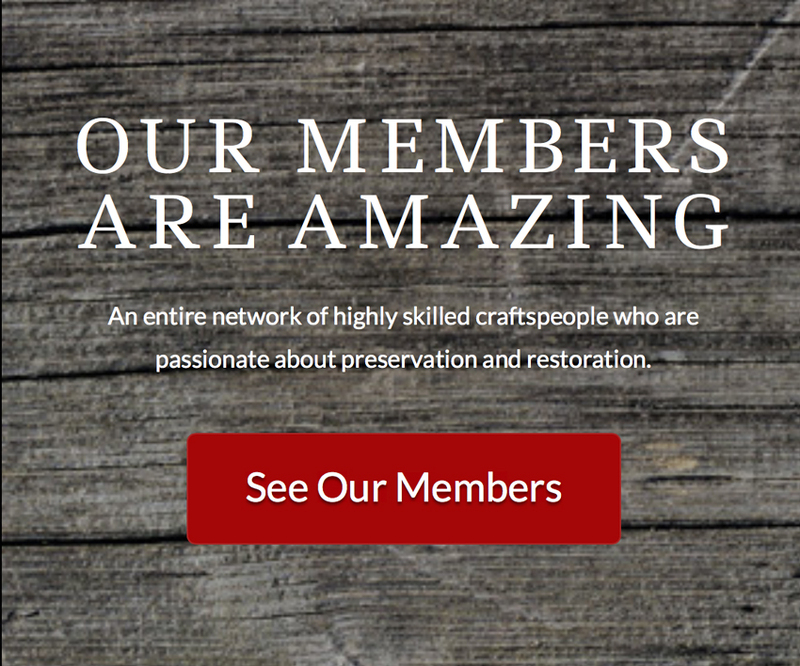 This style is considered by some to be analogous to the Arts & Crafts Movement in England. 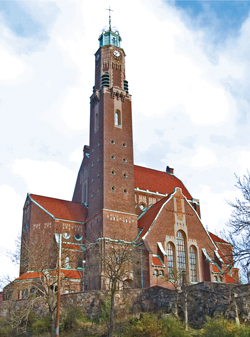 The Stockholm City Hall is perhaps the best-known example of National Romantic style.